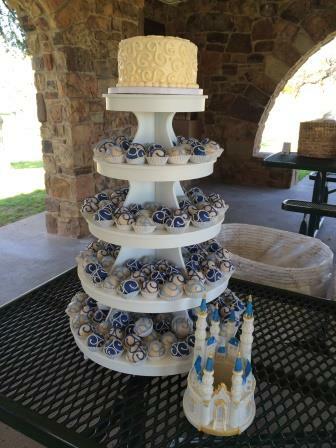 Our tiered cake ball displays are perfect for your informal event! The beauty and elegance of cake balls combined with the convenience of allowing your guests to serve themselves. As an added bonus our cake balls require no utensils; each cake ball is placed in an individual baking cup. Easy to eat, no mess, and no clean up - cake balls are truly perfect for any occasion!